Georgina Smith has been providing dyslexia assessment and tuition for over 10 years, working with families, schools and adults. An individual does not need to have received a dyslexia assessment to access 1:1 tuition. Private tuition is available during the day and after school. Georgina accepts referrals from parents/carers, schools and adults. She works with individuals from age 6 to post-16. She is an experienced dyslexia specialist teacher and her passion is to support individuals with specific learning difficulties to enable them to maximise their potential. CodeBreakers® Dyslexia Support service was established over 10 years ago (as Leek Dyslexia and Literacy Support) working in the community, providing dyslexia awareness and parent support groups. She continues to offer a FREE initial advice and guidance support service. Georgina is the author of CodeBreakers® Dyslexia programme for reading and spelling. CodeBreakers® was created following years of teaching and gathering best practice. The programme uses systematic synthetic phonics and multi-sensory strategies. The programme and its techniques are used within 1:1 tuition sessions. Each lesson is adapted to meet the individuals needs and goals. Younger students use CodeBreakers® programme and learn through fun, including reading and spelling tasks, building confidence and creating automaticity in spelling and reading. Individuals have the opportunity for overlearning in order to consolidate learning. Older students base their learning around CodeBreakers® and their sessions can be adapted to meet personal study goals or workplace vocabulary. They have the opportunity to work on study skills and tailor sessions, as required, to target specific areas for individual support. When working with under 16s or vulnerable students a parent or carer is required to stay during the sessions. 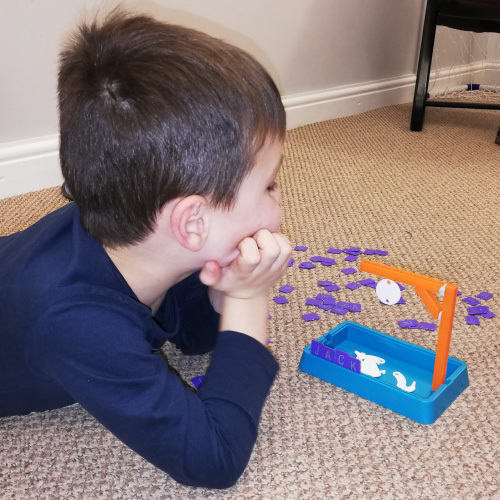 Parents/carers are encouraged to participate in education games, to enable them to observe how their child learns and use some of the techniques. It fosters a positive learning experience and parents/carers can observe their child developing. Georgina prides herself on a personable and individual working relationship with all her students. She endeavours to support students and their families through their education transitions and liaises with schools where requested in order to provide a seem less support service. Georgina regularly attends CPD events and over the years has built excellent working relationships with specialists in other areas of SPLD, where together they share best practice and knowledge, in order to provide a holistic approach to an individual’s learning experience. She has experience of working with students of all ages, from mainstream and non-mainstream schools. She has supported individuals with dyslexia, dyspraxia, language development delays, autism, sensory processing, auditory processing difficulties, visual processing difficulties and pathological demand avoidance. She understands that individuals of all ages may have anxiety related to learning and has a patient and caring nature and approach to learning, to enable students thrive, blossom and build their confidence.